Microsoft had some nice set of improvements in the Windows 8.1 update 1 ESCROW build which leaked yesterday. The taskbar glitch is fixed and it comes up whenever you move the mouse to the bottom of the screen. SkyDrive has been renamed to OneDrive. The metro apps now work a lot like the desktop apps. They are are shown in the taskbar by default and have the title bar with minimize and close buttons. Even the animations when you minimize the app is same as the desktop apps. Closing the apps has a new animation which looks more smoother. 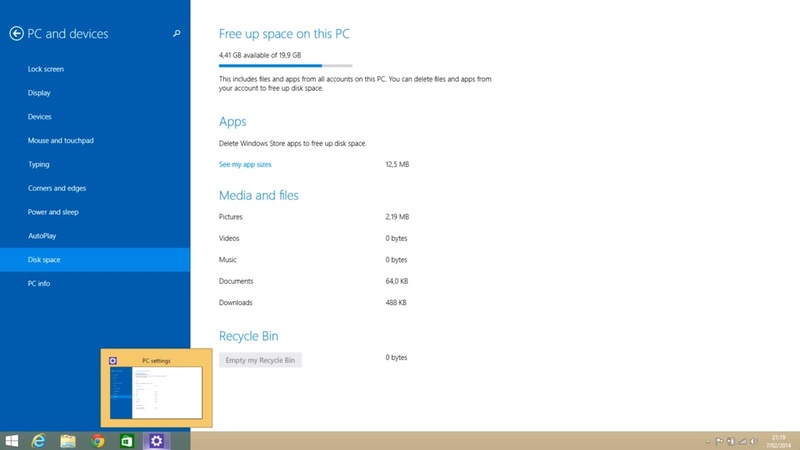 What's better is that you can open you taskbar in Start screen itself by pointing to the bottom. At last, Apps have Jumplist support too. Windows 8.1 update 1 ESCROW build is available as a MSU file so only Windows 8.1 users can deploy the update. It can also be uninstalled in the same way as other updates.